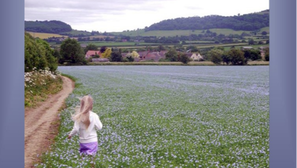 Under current Planning legislation Alderton Parish Council is able to initiate a process to require a Local Planning Authority like Tewkesbury Borough Council to adopt a Neighbourhood (Development) Plan. The Alderton Neighbourhood Plan sets out policies in relation to the ‘development and use of land’ within the Parish boundary. For the Neighbourhood Plan to be 'adopted' it must pass a Referendum in which people who are registered to vote within Alderton Parish can vote upon the whether the Neighbourhood Plan should be taken into account by Tewkesbury Borough Council when determining planning applications. If the Neighbourhood Plan passes the referendum and is 'adopted' it will become a significant document for Tewkesbury Borough Council who must consider it when determining planning applications. The Referendum question is: "Do you want Tewkesbury Borough Council to use the Neighbourhood Plan for Alderton to help it decide planning applications in the neighbourhood area?" The Plan requires a majority of votes (more than 50%) to be brought it into force. The Referendum is held by Tewkesbury Borough Council in the same way as all elections. ​All residents of Alderton Parish registered to vote in local elections are entitled to vote. You will be sent a polling card in the post with all of your voting information. The Polling Centre is in the Village Hall. Applications for postal voting need to be received by Tewkesbury Borough Council by 6th June. ​Postal votes will be sent around Friday 8th June. IF POSSIBLE ALL RESIDENTS SHOULD VOTE AS THE NEIGHBOURHOOD PLAN IS AN IMPORTANT WAY FOR US TO CONTROL OUR OWN DESTINY AND TO ENSURE THAT PLANNING APPLICATIONS CONSIDER THE VILLAGE NEEDS. The Neighbourhood Development Plan and associated documentation are available to view on this webpage. A leaflet summarising the Neighbourhood Development Plan will also be sent to all residents. Copies of the Plan are available in the Church and the Village Hall will open on 9th June from 12pm to 4pm with copies of the Plan available to read. You can read the plan on the Alderton website or download a copy of the Alderton NDP from the Neighbourhood Plan page. You can read more about Neighbourhood Plans and how they work on the Tewkesbury Borough Council pages. ​Please note that the Parish Council is not permitted to campaign in the pre-Referendum period. This statement is published as required by Regulation 4 to provide general information relating to Town and Country Planning and the Referendum. This statement confirms that Tewkesbury Borough Council, as the relevant Local Planning Authority, are satisfied that the Alderton Neighbourhood Development Plan meets the basic conditions and complies with the provision made by or under sections 38A of the Planning and Compulsory Purchase Act 2004.